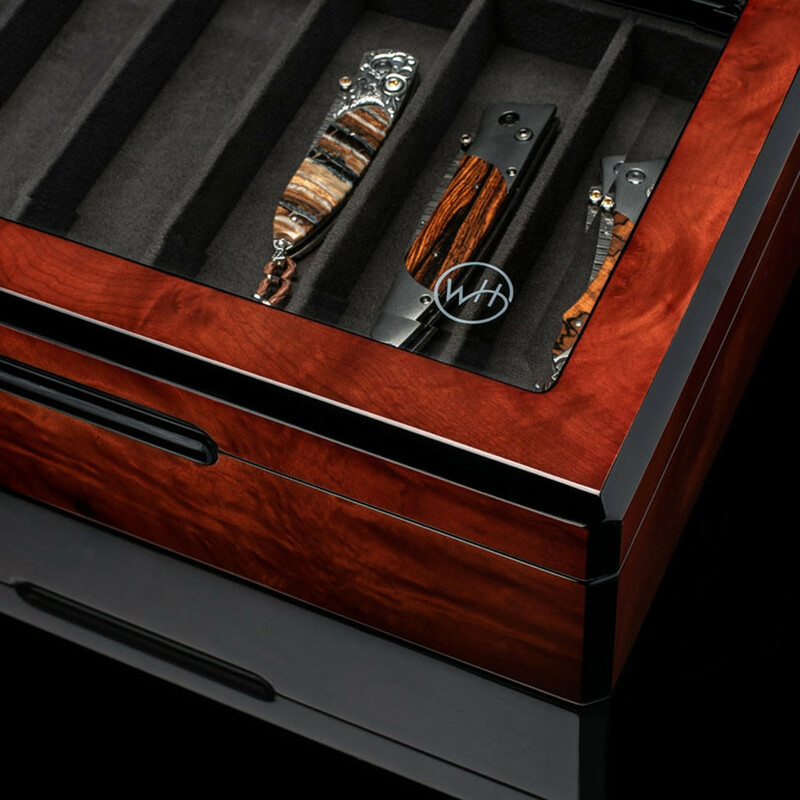 If you are a connoisseur of William Henry pocket knives, this collector display case is a must. 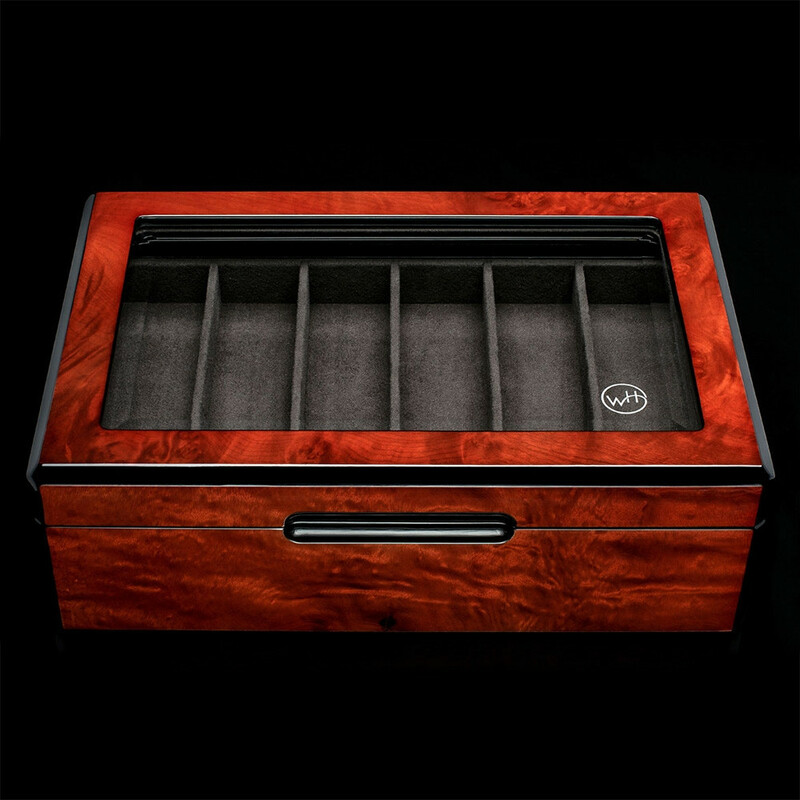 The laminated cherry wood construction with brass hinges features a beveled glass top, and the William Henry logo is etched in the corner of the glass. 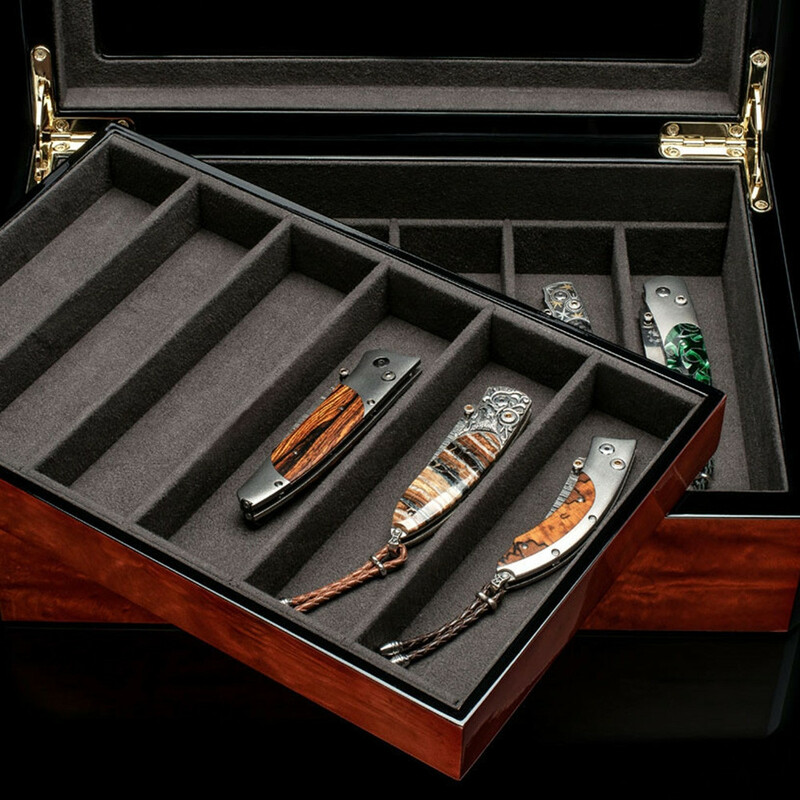 This collector's box holds 12 pocket knives, 6 on the lower and upper inserts, or any other William Henry accessory.